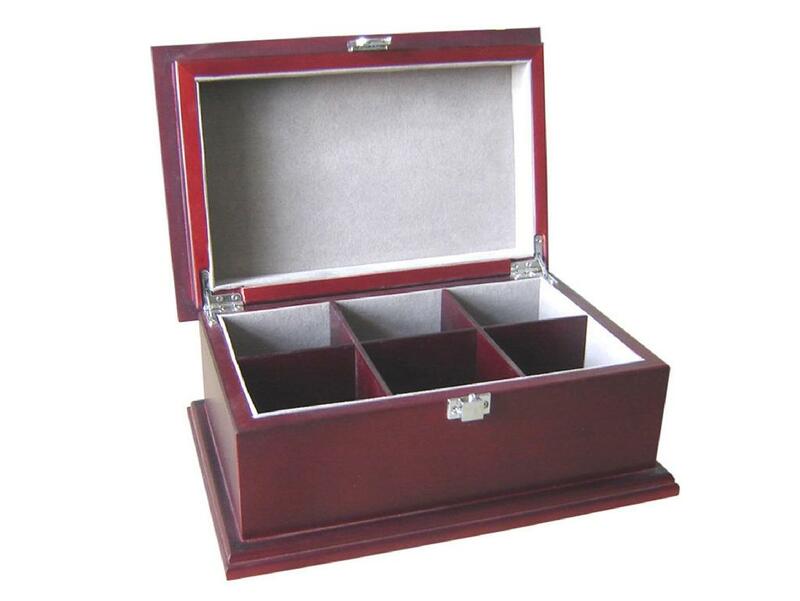 This wooden tea chest features a very rich design and elegant silver supporting hinges and clasp. Inside walls are lined with quality gray felt wrapped with cardboard. 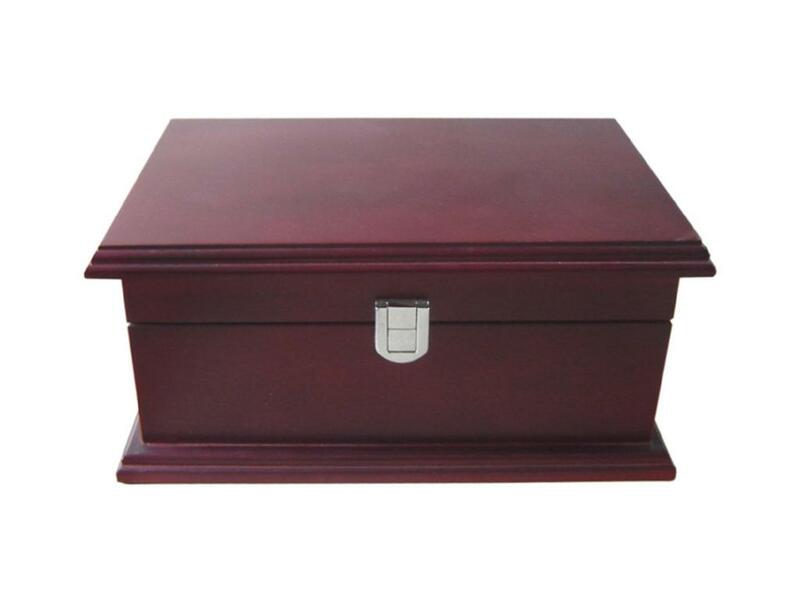 This box has a high gloss cherry finish and attention to detail makes this tea bags chest a personal favorite. This tea chest can hold 100 tea bags and is 24x16x11cm. 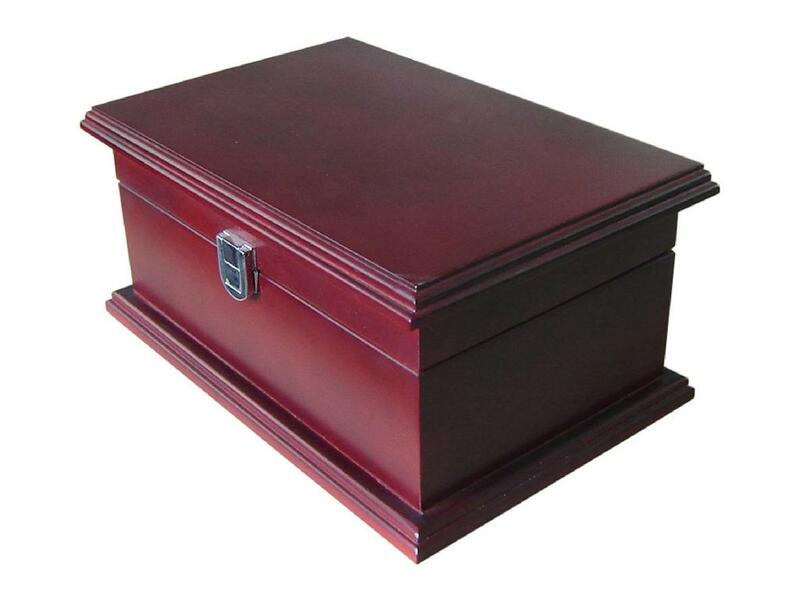 Extreme Enterprise is a first class manufacturer of high quality custom wooden tea chests and wooden tea boxes. We are committed to providing you with an excellent product that will exceed your expectations, excellent customer service and a guaranteed price that will beat all our competitors. Utilizing our skilled craftsmen, we pride ourselves in manufacturing the highest quality custom made boxes available in China.